Will Mitch Trubisky get a chance to start in Week 3? Chicago Bears quarterback Mike Glennon threw two interceptions and had a rough time figuring out the Tampa Bay Buccaneers' defense Sunday, but was it enough to convince John Fox to make a change? 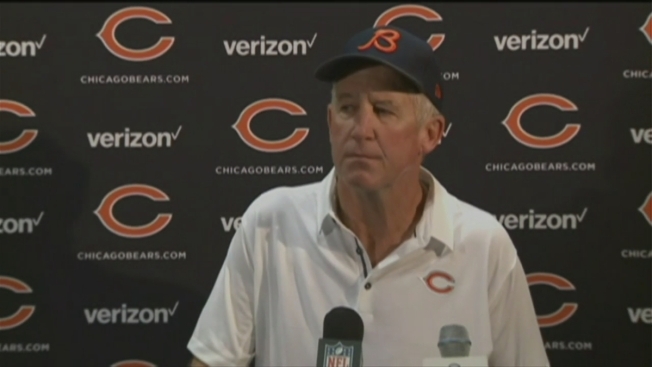 Fox was asked about that after the Bears lost 29-7 at the hands of the Buccaneers. The loss dropped the Bears to 0-2 on the season and marked their ninth straight road loss, but that doesn't mean Fox is ready to bring in Mitch Trubisky to start at quarterback. "No," Fox said when he was asked if the team would consider switching to Trubisky for next week's game. So far this season Glennon has completed nearly 70 percent of his passes for 514 yards and two touchdowns, but he threw two interceptions and lost a fumble in Sunday's loss at Tampa Bay. If Glennon indeed remains the starter, he'll have a chance to rebound at home next week when the Bears take on the Pittsburgh Steelers at Soldier Field.